Since the opening in 2012 of Tiong Bahru Bakery near the popular Tiong Bahru Market, Spa Esprit group and French celebrity Bakery Chef Gontran Cherrier brought to Singapore the true flavours of a Parisian bakery. Fresh buttery croissants, almond croissants, chocolate croissants, raisin buns, kouign amanns and other delicious pastries are a consistent standout for breakfast and brunch lovers. The bread here is particularly noteworthy. From the classical baguette and brioche to the Cranberry Vienna and Monkey Bread, you'll be spoilt for choice. For a quick meal, you'll find some French favourites like Quiche Lorraine, diverse Croque Monsieurs and Tartines but also some satiating sandwiches such as the Squid Ink Bun with Salmon, Prosciutto, Pesto. And for the fans of French pastries, indulge in a Fruit, Strawberry and Rasberry tarts, Apple Crumble Tart or the decadent Vanilla Mille-Feuille. 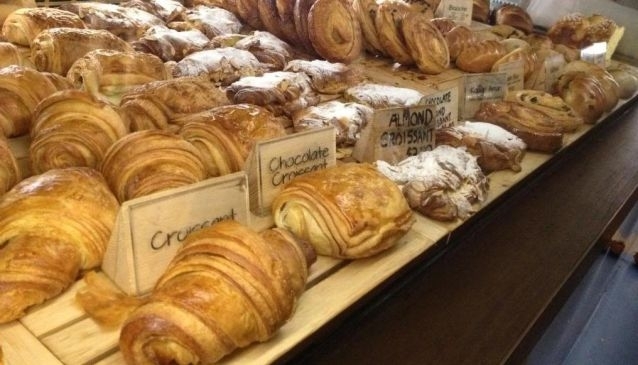 Tiong Bahru Bakery is also available at Raffles City Shopping Centre and Tangs.